We are leading and professinal terminal manufacturer. We can supply Fully Insulated Female Disconnects, Insulated Female Disconnects, Insulated Male Disconnects, Insulated Bullet Male Connector, Bullet Female Insulated Terminal, Screw On Wire Connectors, Nylon Fully Insulated Bullet Male and Female Terminal Disconnects, Nylon Insulated Flag Female Disconnector , Non-Insulated Ring Terminal , Non-Insulated Spade Terminal , Insulated Spade Terminal , Insulated Ring Terminal , Quick Connectors connector terminal like Quick Splice Connector, Closed-End Connector, connector, cable connector, wire connector, insulated ring terminals, fork pre-insulated terminals, pin pre-insulated terminals and pipe pre-insulated terminals. We can provide good quality and good service with competitive prices. 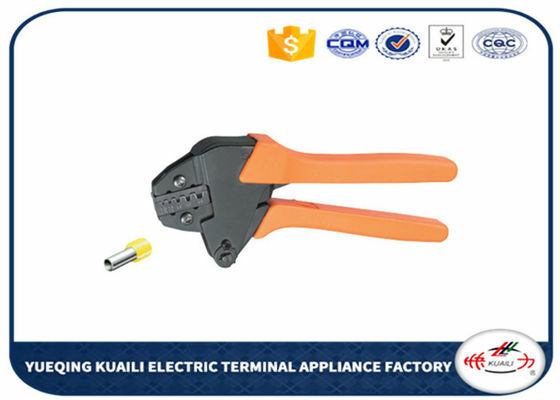 Innovative mechanical structure, it can saving 25% energy when crimping. 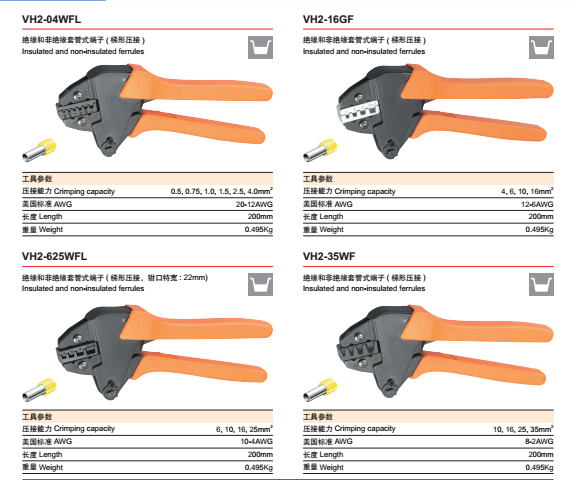 Precise crimping die sets ensure high quality crimping effect. Blacken or electrical plating treatment for crimping die sets. Ergonomic handle design, easy operation. 1.Are you the manufacturer or trading company? A few goods,we promise to sent in 1-7 days. Most have in stock. 4.Which shipping method do you provide? 5.Which payment terms is available? We accept PayPal, payment by T/T. 6. How can we get the samples?Is it free? 7. How about the price? We are the manufacturer and we have a competitive price.